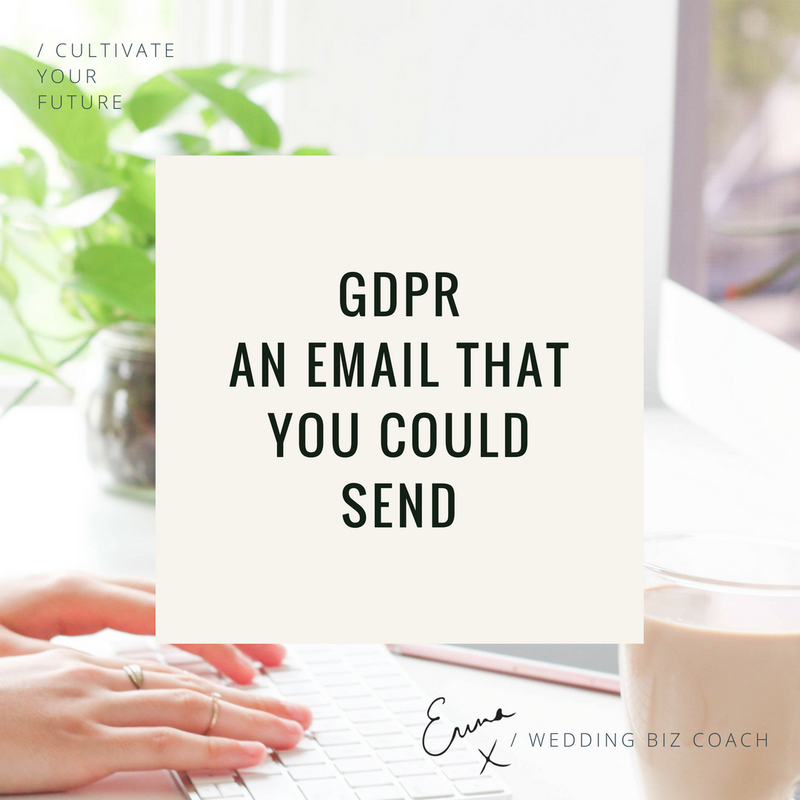 I know that we are all fed up with the stress of GDPR and what needs to happen – I cannot advise you on that but what I can do is give you an idea for an email to send over the next day or so that will help you get some of those existing subscribers staying with you. I bet you have signed up for tons of emails over the last few years. Your brides will have done the same in the time they have been planning their wedding. However your bride has landed on your email list, whether it was via entering their details on your website, via a freebie, via your social media accounts, from a wedding fair – however you have their details, you need to remind them WHO you are and how you can help them because they probably haven’t got a clue in all honesty! So, your task is to write an email that tells your brides WHO you are and HOW you can help them. Let them decide if they want to still hear from you. Also be mindful that your brides may have no idea what this GDPR stuff is – we know about it because we need to know about it as business owners, but if your brides are not business owners, they may have no idea. So make it as easy as possible for them to know what to do. Literally, spell it out. The last thing to say on this is that you will get people who do not subscribe or take action, instead of getting sad about this, just know that the people that do take action are so close from buying from you – because they WANT to hear from you. Brides will be on your list who have long gotten married so they do not actually need to hear from you because they don’t need you anymore (sorry, I know that sounds really sad!). So stop digging your head in the sand and take action. This may just give you an idea of what to say if you need some inspiration. *Please note that this is no way intended as legal advice or advising on how to adhere to the GDPR rules. It is very important that you are explicit about what you will be doing with their data and your get explicit consent from them.